The German Ministry of Transport, Building and Urban Development has signed a joint Letter of Intent with several industry partners to expand the network of fuelling stations from current 15 stations across the country. The letter forms part of the National Innovation Programme for Hydrogen and Fuel Cell Technology (NIP), in which Germany’s federal government will work with its partners; Air Liquide, Air Products, Daimler, Linde and Total Germany to expand the public network. The German government’s own NOW GmbH (National Organisation for Hydrogen and Fuel Cell Technology) will coordinate the construction of the filling stations. 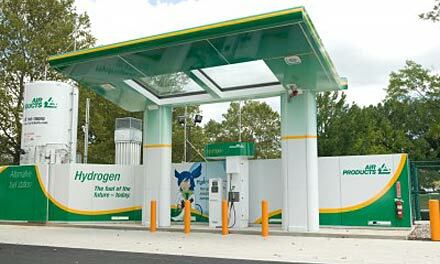 The network of hydrogen filling stations accompanies the introduction of fuel cell vehicles that the automobile industry has announced for 2014/15. 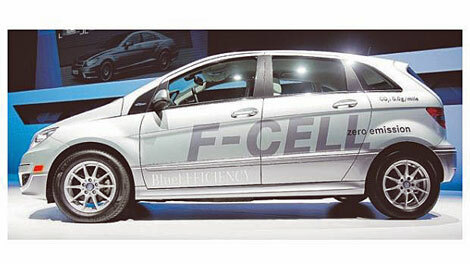 Partner, Daimler plans to be the first carmaker to start full commercial production of hydrogen fuel cell vehicles, with plans to launch the Mercedes-Benz B-Class F-Cell by 2014. This entry was posted in Alternative Energy, Alternative fuels and tagged cars, climate, Department of Energy, Energy Savings, environment, fuel cell technology, Green cars, hydrogen fuel cell, hydrogen fuel cell vehicles, hydrogen fuel cells, mercedes benz cars, nature, renewable energy, renewable energy sources, science, transportation by fenleynicol. Bookmark the permalink.